Story times, Book Groups, and More! To borrow a museum pass, library patrons must present a CWMARS library card in good standing (no billed items or fines over $10.00). Passes are loaned for 3 days and are not renewable. Late fees for museum passes are $1.00 per day. Passes cannot be reserved, they are available on a first come first served basis. All passes are listed in the library catalog; click to see current holdings and availability. 2 passes – free admission for 4 people. Pick up tickets at the Hall Tavern for entrance to the museum houses. 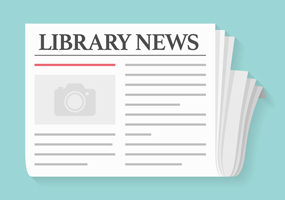 Stay Connected to the East Longmeadow Public Library! Monday – Wednesday 9:30 – 8:00 pm. Thursday & Friday 9:30 – 5:00 pm. Saturday 9:30 – 4:00 pm. Copyright East Longmeadow Public Library 2019 - All Rights Reserved.